The commencement of the department of CSE was in 2001 and had successfully integrated the years of excellence and still incomparable. The Department offers B.Tech Program in Computer Science and Engineering with an annual intake of 120 and M.Tech program in Computer Science and Engineering with an annual intake of 18. The department has strategically gained experienced faculty members who expertise in various subjects makes academic excellence. 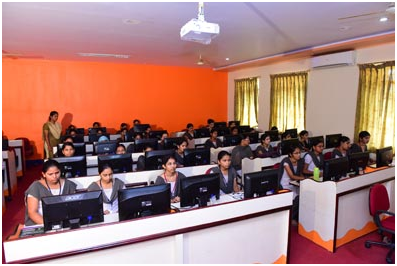 The department has engaged in training students towards industry needs with necessary software exposure right from the day of its establishment. The department has acquainted in conducting guest lectures, workshops, student paper presentation and conferences. The department of CSE encourages students to participate in various extra-curricular activities and competitions held by other universities and colleges within the state and outside the state. The students also have won laurels to the college by winning prizes in various competitions.. Vision : To evolve as a centre of academic excellence in Computer Science & Engineering by building strong teaching and skill development team. Mission : To offer high quality graduate and post graduate programs in computer science education and to prepare students for gainful employment. To enhance career opportunities through comprehensive soft skills development. To develop self learning abilities and professional ethics to serve the society. PEO's : PEO I. Excel in professional career by acquiring knowledge in Computer Science and IT enabled services. PEO II. Exhibit professional skills to function as members of multi-disciplinary teams, communicate effectively and be conversant with modern tools. PEO III. Practice the profession with ethics, social responsibility and exhibit leadership qualities. PEO 1: The graduates should have sound knowledge in the basic science subjects such as Mathematics, Physics and Chemistry. They should have in-depth exposure and knowledge to mathematics to the level required for their branch of engineering specialization. They should have the ability to apply the science and mathematics in solving complex problems in the field of Computer Science & Engineering and related fields. PEO 2: The graduates should be able to adopt themselves to the industry with minimal amount of training. The graduate should be able to pursue their career in any related industry with high degree of technical competency. 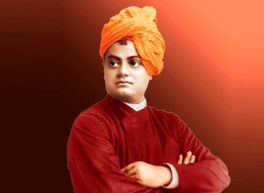 Leadership qualities of a student can be initiated by means of high degree of professional abilities. PEO 3: The graduates should be aware of professional ethics and practice them in their professional life. They must understand the prioritized needs of the society and use professional practice for improving the standards of society. Must ensure that the profession practices should be healthy and must in no way be detrimental to the society. PSO1:	Professional Skills: The ability to understand, analyze and develop computer programs in the areas related to algorithms, system software, multimedia, web design, big data analytics, and networking for efficient design of computer-based systems of varying complexity. PSO2:	Problem-Solving Skills: The ability to apply standard practices and strategies in software project development using open-ended programming environments to deliver a quality product for business success. PSO3:	Successful Career and Entrepreneurship: The ability to employ modern computer languages, environments, and platforms in creating innovative career paths to be an entrepreneur, and a zest for higher studies. 1.Using English languages, both written and spoken, competently and correctly. 2.Improving comprehension and fluency of speech. 1.Solve linear differential equations of first, second and higher order. 2.Determine Laplace transform and inverse Laplace transform of various functions and use Laplace transforms to determine general solution to linear ODE. 3. Calculate total derivative, Jocobian and minima of functions of two variables. 1.Calculate a root of algebraic and transcendental equations. Explain relation between the finite difference operators. 2.Compute interpolating polynomial for the given data. 3.Solve ordinary differential equations numerically using Euler's and RK method. 4.Find Fourier series and Fourier transforms for certain functions. 5.Identify/classify and solve the different types of partial differential equations. 1.Construction and working details of instruments, ie., Interferometer, Diffractometer and Polarimeter are learnt. 2.Write, compile and debug programs in C language. 3.Use different data types in a computer program. 4.Design programs involving decision structures, loops and functions. 7.Use different data structures and create/update basic data files. 1.To introduce the use and the application of drawing instruments and to make the students construct the polygons, curves and various types of scales. The student will be able to understand the need to enlarge or reduce the size of objects in representing them. 2.To introduce orthographic projections and to project the points and lines parallel to one plane and inclined to other. 3.To make the students draw the projections of the lines inclined to both the planes. 4.To make the students draw the projections of the plane inclined to both the planes. 5.To make the students draw the projections of the various types of solids in different positions inclined to one of the planes. 6.To represent the object in 3D view through isometric views. The student will be able torepresent and convert the isometric view to orthographic view and vice versa. 1. Using English languages, both written and spoken, competently and correctly. 3.Gaining confidence in using English in verbal situations. 1.Determine rank, Eigenvalues and Eigen vectors of a given matrix and solve simultaneous linear equations. 4. Calculate gradient of a scalar function, divergence and curl of a vector function. Determine line, surface and volume integrals. Apply Green, Stokes and Gauss divergence theorems to calculate line, surface and volume integrals. 1.The advantages and limitations of plastic materials and their use in design would be understood. Fuels which are used commonly and their economics, advantages and limitations are discussed. 2. Reasons for corrosion and some methods of corrosion control would be understood. The students would be now aware of materials like nano-materials and fullerenes and their uses. 3.Similarly liquid crystals and superconductors are understood. The importance of green synthesis is well understood and how they are different from conventional methods is also explained . 4. Conductance phenomenon is better understood. The students are exposed to some of the alternative fuels and their advantages and limitations. 3. Design programs involving decision structures, loops and functions. 3.The concepts of the ecosystem and its function in the environment. The need for protecting the producers and consumers in various ecosystems and their role in the food. 3.Analysis of frames and trusses, different types of motion, friction and application of work - energy method. 5.Student will be able to communicate effectively mathematical ideas/results verbally or in Writing. 1.An ability to define different number systems, binary addition and subtraction, 2's complement representation and operations with this representation. 2.An ability to understand the different switching algebra theorems and apply them for logic functions. 3.An ability to define the Karnaugh map for a few variables and perform an algorithmic reduction of logic functions. 4.An ability to define the other minimization methods for any number of variables.Variable Entered Mapping (VEM) and Quine-MeCluskey (QM) Techniques and perform an algorithmic reduction of logic functions. 1.Making Software easily right out of the box. 2.Experience with an interpreted Language. 3.To build software for real needs. 1.Distinguish between procedures and object oriented programming. 2.Apply advanced data structure strategies for exploring complex data structures. 3.Compare and contrast various data structures and design techniques in the area of Performance. 1.Know and be able to describe the general software architecture of programs that use 3D computer graphics. 2.Know and be able to discuss hardware system architecture for computer graphics. This Includes, but is not limited to: graphics pipeline, frame buffers, and graphic accelerators co-processors. 3.Know and be able to select among models for lighting/shading: Color, ambient light;distant and light with sources; Phong reflection model; and shading (flat, smooth,Gourand, Phong). 1.Define and develop a software project from requirement gathering to implementation. 2.Obtain knowledge about principles and practices of software engineering. 3.Focus on the fundamentals of modeling a software project. 1.Understand Java programming concepts and utilize Java Graphical User Interface in Program writing. 2.Write, compile, execute and troubleshoot Java programming for networking concepts. 3.Build Java Application for distributed environment. 4.Design and Develop multi-tier applications. 5.Identify and Analyze Enterprise applications. 1.Students can understand the architecture of modern computer. 3.Understanding of different instruction types. 5.They can understand how computer stores positive and negative numbers. 6.Understanding of how a computer performs arithmetic operation of positive and negative numbers. 1. Be able to understand and apply amortised analysis on data structures, including binary search trees, mergable heaps, and disjoint sets. 2. Understand the implementation and complexity analysis of fundamental algorithms such as RSA, primality testing, max flow, discrete Fourier transform. 1.Acquire knowledge in different phases and passes of Compiler, and specifying different types of tokens by lexical analyzer, and also able to use the Compiler tools like LEX, YACC, etc. 2.Parser and its types i.e. Top-down and Bottom-up parsers. 3.Construction of LL, SLR, CLR and LALR parse table. 4.Syntax directed translation, synthesized and inherited attributes. 1.Documentation will demonstrate good organization and readability. 2.File processing projects will require data organization, problem solving and research. 3.Scripts and programs will demonstrate simple effective user interfaces. 4.Scripts and programs will demonstrate effective use of structured programming. 5.Scripts and programs will be accompanied by printed output demonstrating completion of a test plan. 6.Testing will demonstrate both black and glass box testing strategies. 1. Describe a relational database and object-oriented database. 3. Describe ER model and normalization f or database design. 4. Examine issues in data storage and query processing and can formulate appropriate solutions. security, ethical responsibility, and strategic advantage. 1. Design various Scheduling algorithms. 2. Apply the principles of concurrency. 3. Design deadlock, prevention and avoidance algorithms. 4. Compare and contrast various memory management schemes. 5. Design and Implement a prototype file systems. 1. It gives a comprehensive understanding of a variety issues that are encountered by every professional in discharging professional duties. 2. It provides the student the sensitivity and global outlook in the contemporary world to fulfill the professional obligations effectively. 4.Analyze and evaluate performance of algorithms for Association Rules. 1.Argue the correctness of algorithms using inductive proofs and invariants. 2.Analyze worst-case running times of algorithms using asymptotic analysis. 4.Derive and solve recurrences describing the performance of divideand- conquer algorithms. 5.Describe the dynamic-programming paradigm and explain when an algorithmic designsituation calls for it. 6.Describe the greedy paradigm and explain when an algorithmic design situation calls for it. 1. Understand the basic testing procedures. 2. Able to support in generating test cases and test suites. 3. Able to test the applications manually by applying different testing methods and automation tools. 4. Apply tools to resolve the problems in Real time environment. 1. Identify problems that are amenable to solution by AI methods, and which AI methods may be suited to solving a given problem. 2. Formalize a given problem in the language/framework of different AI methods (e.g., as a search problem, as a constraint satisfaction problem, as a planning problem, as a Markov decision process, etc). 3. Implement basic AI algorithms (e.g., standard search algorithms or dynamic programming). 4. Design and carry out an empirical evaluation of different algorithms on a problem formalization, and state the conclusions that the evaluation supports. 1. be able to individually reason about software security problems and protection techniques on both an abstract and a more technically advanced level. 2. be able to individually explain how software exploitation techniques, used by adversaries, function and how to protect against them. 1) Able to think and develop new mobile application. 2) Able to take any new technical issue related to this new paradigm and come up with a solution(s). 3) Able to develop new ad hoc network applications and/or algorithms/protocols. 1. Have an ability to apply software testing knowledge and engineering methods. 2. Have an ability to design and conduct a software test process for a software testing project. 3. Have an ability to identify the needs of software test automation, and define and develop a test tool to support test automation. 4. Have an ability understand and identify various software testing problems, and solve these problems by designing and selecting software test models, criteria, strategies, and methods. 5. Have an ability to use various communication methods and skills to communicate with their teammates to conduct their practice-oriented software testing projects. 7. Have an ability to use software testing methods and modern software testing tools for their testing projects. 1. Preparing for data summarization, query, and analysis. 1. Develop a familiarity with distributed file systems. 2. Describe important characteristics of distributed systems and the salient architectural features of such systems. 3. Describe the features and applications of important standard protocols which are used in distributed systems. 1. Explain the capabilities of both humans and computers from the viewpoint of human information processing. 2. Describe typical human�computer interaction (HCI) models, styles, and various historic HCI paradigms. 3. Apply an interactive design process and universal design principles to designing HCI systems. 4. Describe and use HCI design principles, standards and guidelines. 5. Analyze and identify user models, user support, socio-organizational issues, and stakeholder requirements of HCI systems. 6. Discuss tasks and dialogs of relevant HCI systems based on task analysis and dialog design. 3. Assessing the financial, technological, and organizational capacity of employer's for actively initiating and installing cloud-based applications. S.Sreenivasulu is the Professor and Head of the computer science & engineering Department. He is pursuing PhD in Computer Science & Engineering from JNTUH. 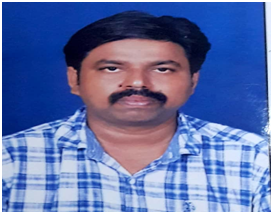 He received M.Tech in Computer Science & Engineering from College of Engineering JNTU, Kakinada, B.Tech in Computer Science & Engineering from G Pullareddy Engineering College, Kurnool. He has a teaching experience of 20 years in this prestigious Institution. He has published many National Journals and Conferences. S.Sreenivasulu has strong zeal towards Professional Activities and member in many Professional Societies like IAENG, ACM & ISTE. His research interests include Data Mining, Machine Learning, and Information Security. He has organized many Faculty Development Programmes and Training Programs. He is a committed individual and an excellent Teacher, who has the efficacy to make the dreams of students come true with a meticulous planning and relentless hard work. He has excellent communication skills and always accessible to the stakeholders.